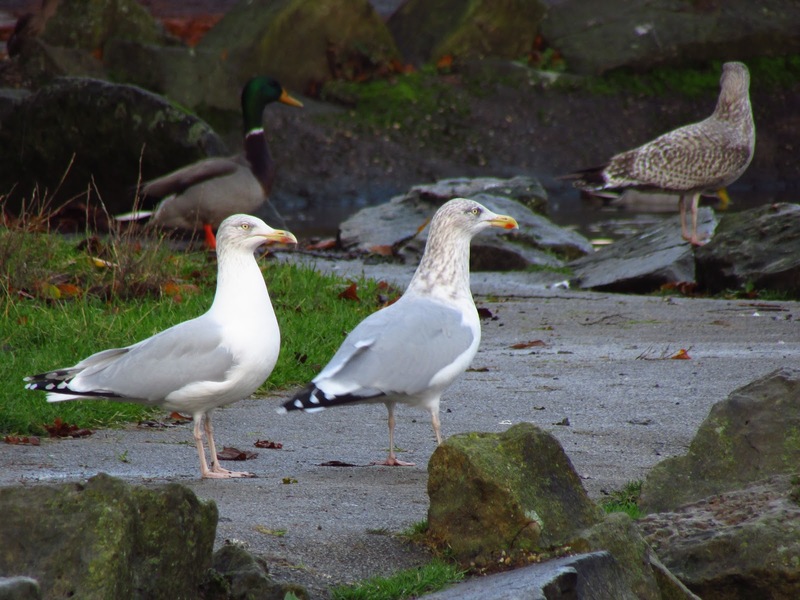 The resident pair of Herring gulls are back at the park. 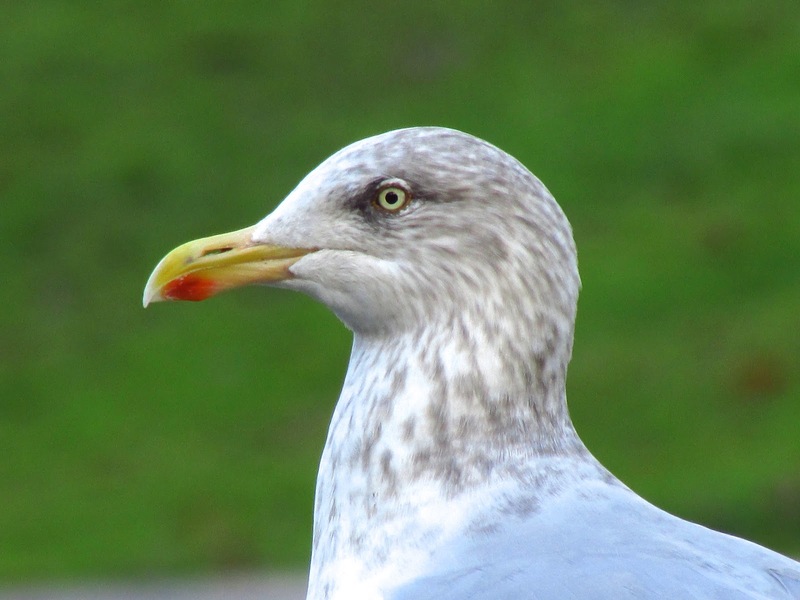 One of the individuals (above) has its full winter attire with a streaked grey head, which gives it a particularly stern look. The other one, which seems smaller (maybe the female?) still has a very white head. A young of the year is also about.